Learn how to change the Chat Preference directly from the Event Room. By default, the Chat Box is set to Public, meaning that Attendees are able to see messages sent by other Attendees. You can set the Chat Preferences from within the Webinar Preferences. We recommend that you set these up prior to starting the webinar. However, you can also change the chat preference during a webinar event as well! From within the Webinar Room, in the top-right of the Chat Box, you'll find three dots which show a few additional options. You'll find that you have the option to Make Chat Private (or Make Chat Public, if the chat is currently set to Public). Simply click it and you'll be automatically swapped over to a Private (or Public) chat immediately! 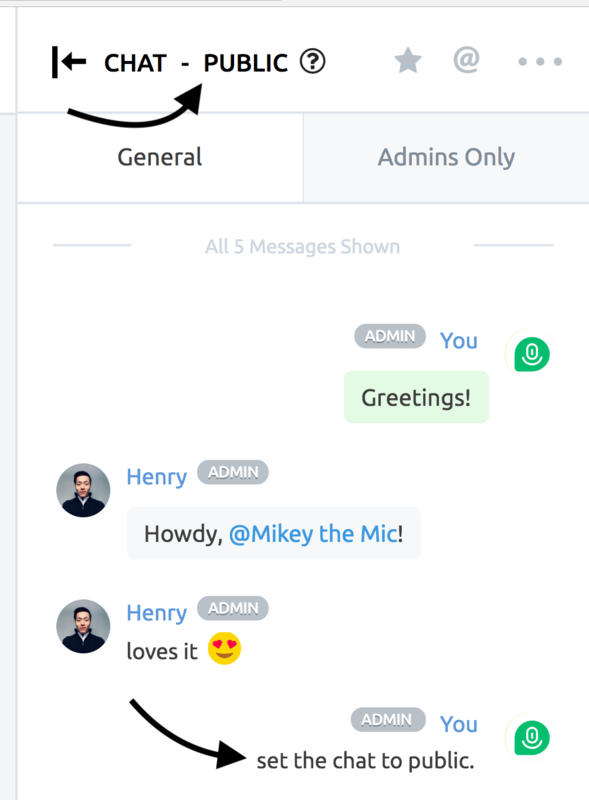 Once you've made the change, you'll also find the Chat Status at the top reflects the new preference, as well as a message added to the Chat Box notifying the rest of the room.